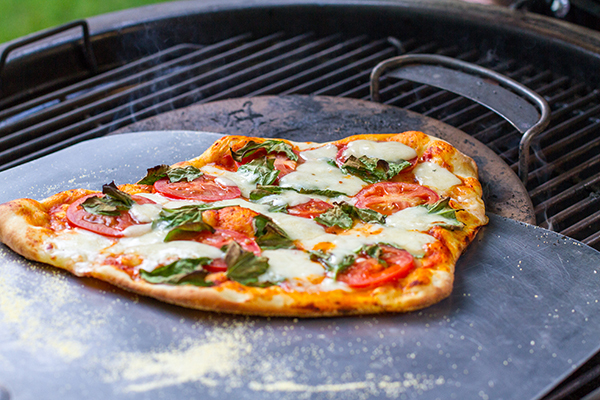 Even though I can use a pizza stone on my Performer & Summit Grill Center, it's easier just to go dough on grate as either the stone is subjected to too much direct heat, or conversely, not enough indirect. 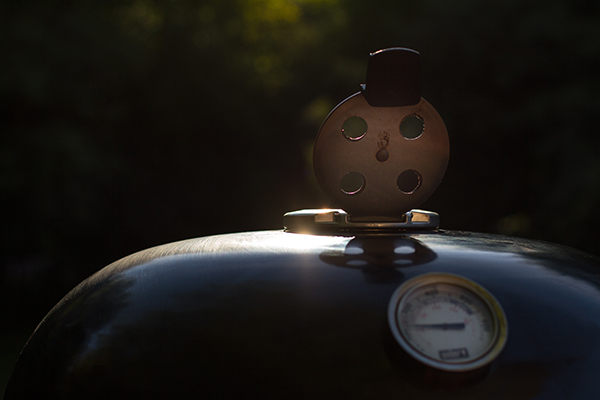 With the diffuser plate on the Summit Charcoal Grill, I have the best of both worlds. Super high and completely isolated indirect heat. In essence, my perfect backyard pizza factory. 1. 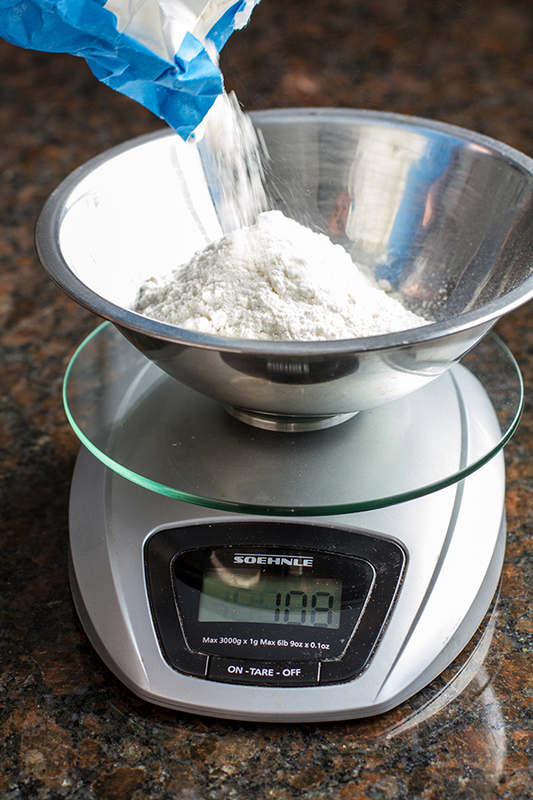 Mix together the yeast, sugar, and water to form a slurry. Let sit for several minutes. 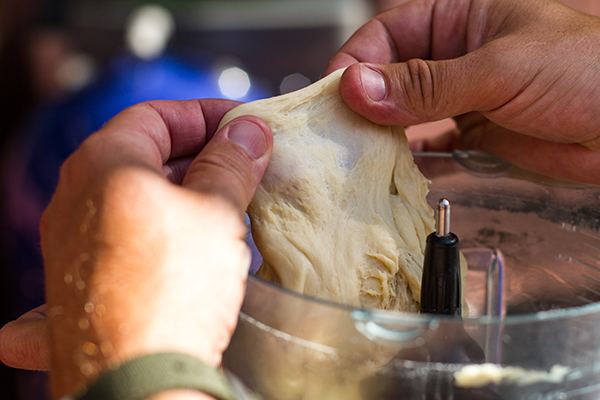 Note: I love to make dough with a blender. Yes, a blender. I've made dough by hand, stand mixer, and food processor, but my blender beats them all. No pun intended. It makes easy look easier. 2. 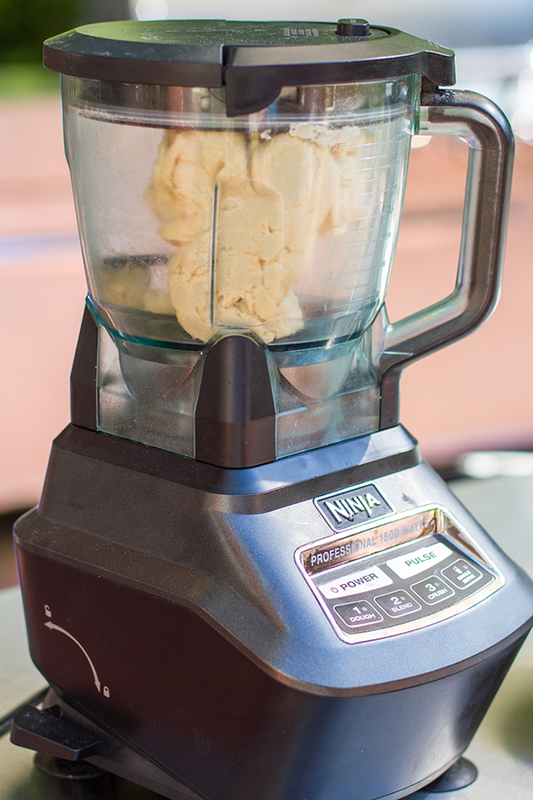 Add the yeast slurry to the blender, then add the olive oil, salt, and flour. Place the lid on the blender. 3. 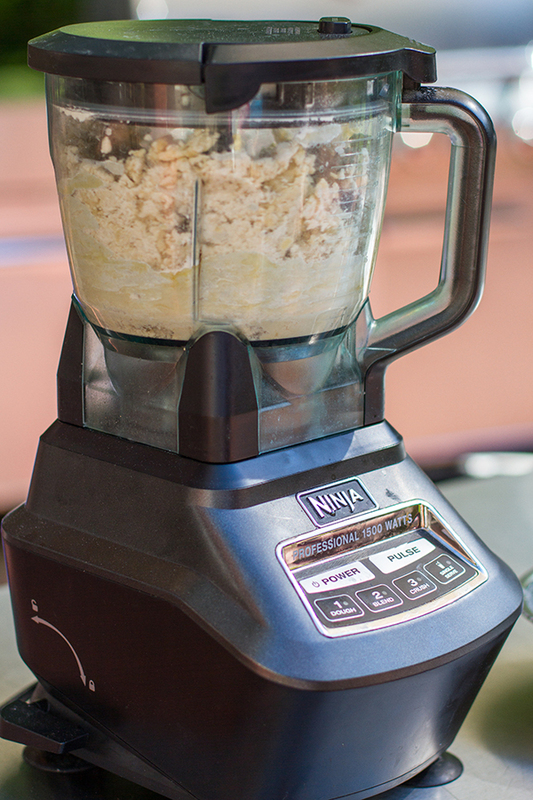 Run the blender until the dough forms a ball and the flour comes off the sides. This takes under two minutes. 4. 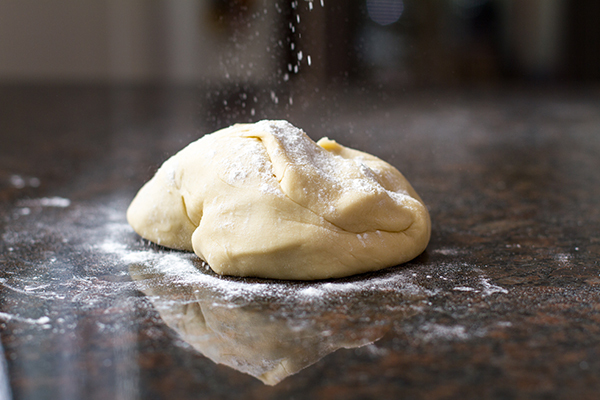 Remove the dough ball from the blender. 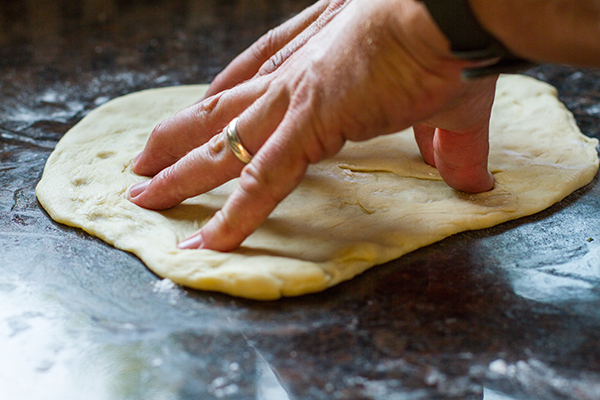 The dough should be slightly tacky and when pulled apart, should stretch without breaking. 5. 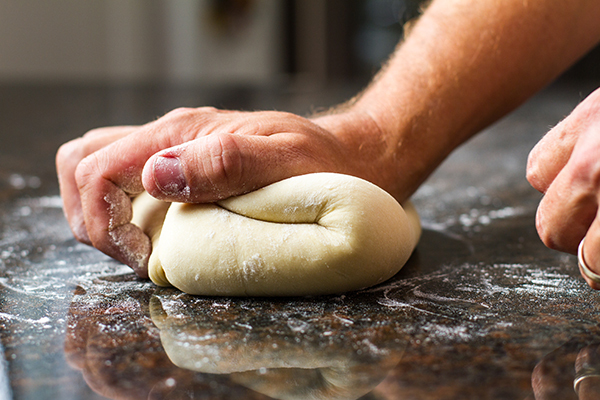 Form into a ball by pushing and turning the dough. 6. 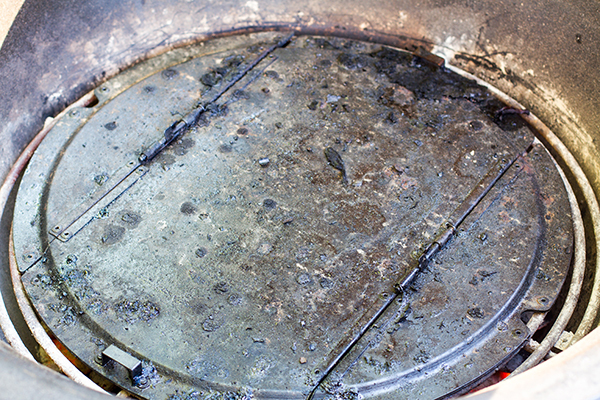 Place in a lightly oiled pan, cover, and place in a warm spot until it doubles in size, approximately one hour. 7. Place the charcoal grate on the lower level. 8. 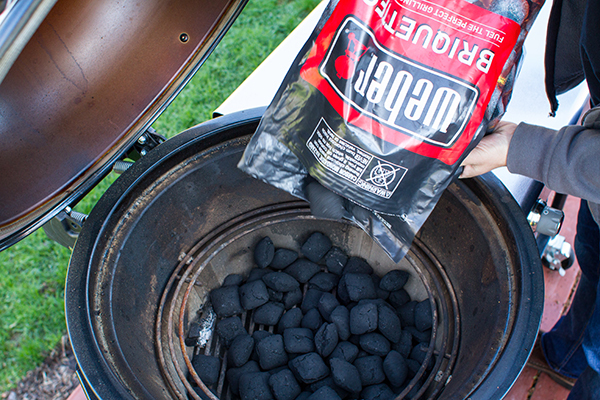 Add three scoops of charcoal and light the coals with the Snap-Jet Gas Ignition. 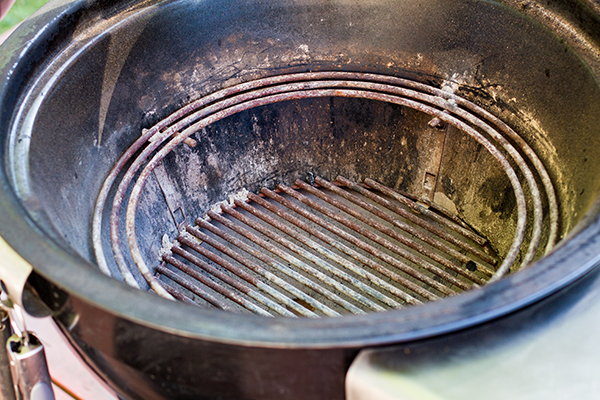 Once the coals are lit, spread them out across the grate. 11. 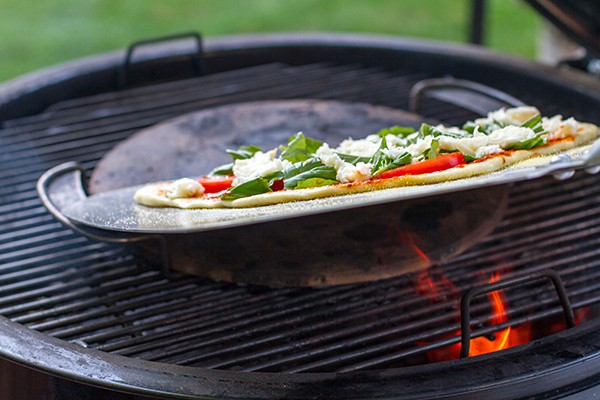 Insert the cooking grate and Gourmet BBQ System Pizza Stone. Lower the lid. Leave the bottom vent open and the Rapidfire Damper up. 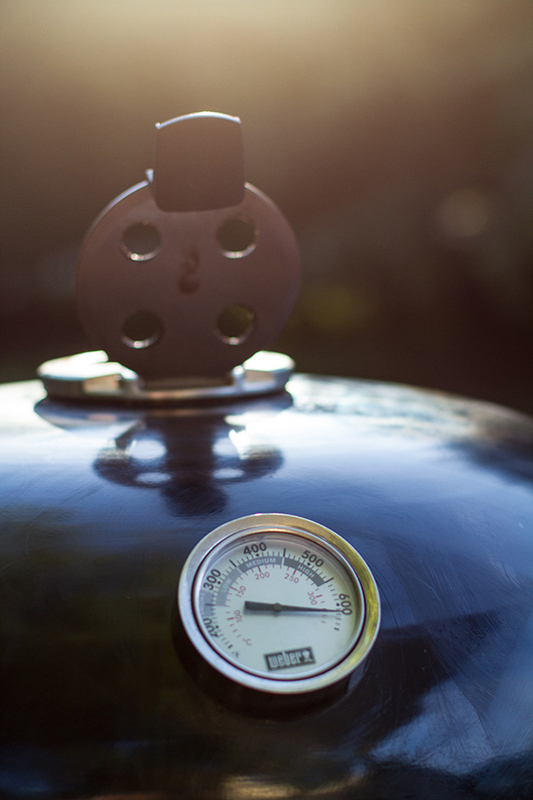 Allow the grill to heat up to 600-650 F and let it hold for approximately 10-15 minutes. 12. Lightly dust a work surface with flour. 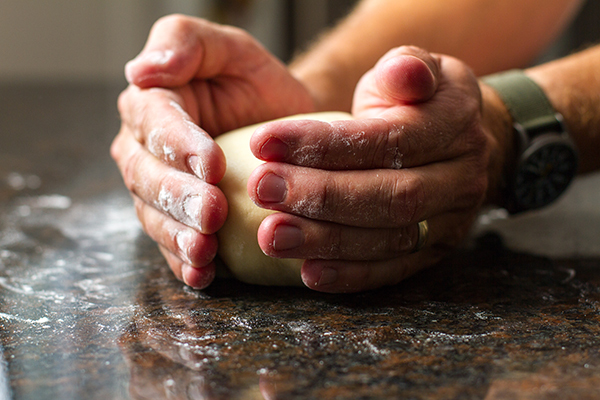 Remove the dough from the bowl, place on the counter, and punch down. Reform into a ball. Slice the ball in half. Each half makes about a 12-inch pizza. 14. 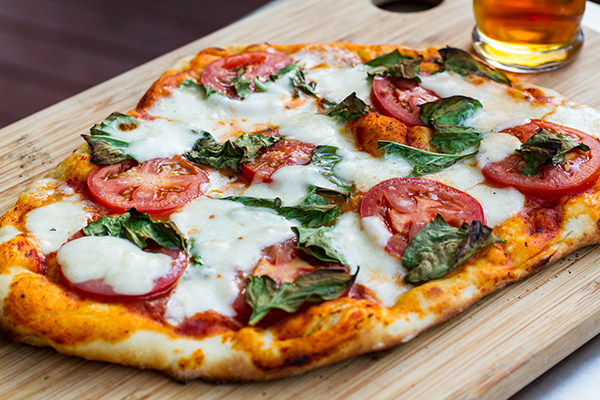 Top the dough with sauce, tomatoes, torn pieces of basil, and cheese. 15. Sprinkle cornmeal on a peel and slide the peel under the pizza to transport it to the grill. 16. Before placing the pizza on the grill, I like to add some hickory wood chunks. 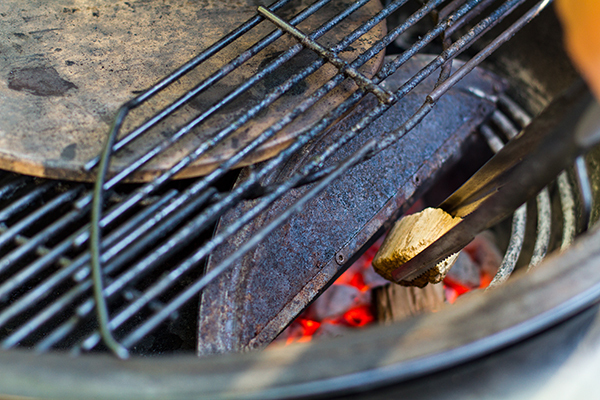 Raise the hinged charcoal grate and diffuser plate to gain access to the coals. 17. 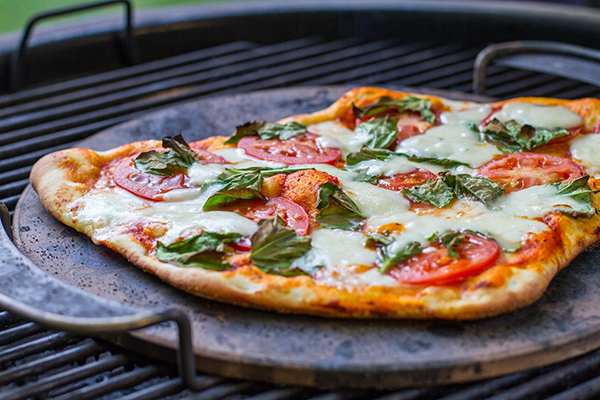 Once the wood begins to burn, slide the pizza onto the stone and lower the lid.